An industry report by software provider Sage claiming cloud computing is an "enigma" to business has been met with ridicule but also as a market opportunity by analysts and commercial rivals. 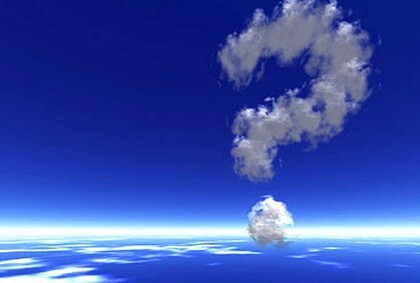 The 2012 Sage Business Index reported over half of companies surveyed in Australia had never heard of the term "cloud". Barriers to adoption included limited perceived benefits, uncertainty as to how to implement cloud technology and a belief that their business "isn't the sort that could make use of the cloud". Carter Lusher, chief analyst with Ovum and research fellow, said he found the survey results "puzzling" and appeared to be an attempt to fight technological transition. Read more to understand the lurking question what is this thing called cloud? Big systems vendors are spreading misconceptions about the cloud because it helps them sell more kit. This week’s BTL guest posting by an IBM IT architect, Cloud Computing: Is it right for you?, was an interesting insight into what the big systems vendors are telling their customers about cloud. But it was so full of misconceptions and misdirection it abjectly failed in its stated mission of sensibly guiding enterprise decision makers. Sadly, this is typical of the ill-informed conventional wisdom you’ll hear from the likes of IBM, HP, Oracle and most parts of Microsoft, Accenture, Deloitte and the rest when discussing cloud computing. To help redress the balance, here’s a quick rundown of some of the most egregious fallacies in the posting. Visiongain’s analysis indicates that the cloud computing market will reach a value of $37.9bn in 2012. With ever increasing proliferation of cloud services adoption by enterprises and end-users in recent years, the demand for cloud computing is at an all time high and is set to continue in demand and popularity over the next five years. Are Cloud Reliability, Security Still ‘Open Issues’? There are many issues taken for granted by companies when they move to the cloud. Aside from various technical issues, businesses fail to recognize that they’ll have to take into consideration the cultural environment of their own company. A very common problem that all businesses will encounter is the internal politics within the organization, which will tends to slow down cloud computing adoption. Thanks for writing this. The Cloud has been extremely susceptible to misconceptions. It’s good to finally read something clear about it. Looking forward to more posts.